"IG2" redirects here. For the 2003 film, see Inspector Gadget 2. 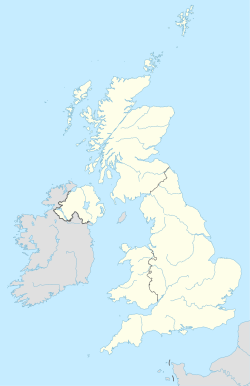 The IG postcode area, also known as the Ilford postcode area, is a group of 11 postcode districts in England, which are subdivisions of six post towns. These postcode districts cover parts of east London and southwest Essex. Inward mail for the IG postcode area is sorted at the Romford Mail Centre along with the E and RM postcode area mail. The area served includes much of the London Borough of Redbridge, the western part of the London Borough of Barking and Dagenham (namely Barking) and the southwestern part of the Epping Forest district of Essex, while the western part of IG8 covers a small part of the London Borough of Waltham Forest. The 'IG' is used instead of 'IL', as the latter could be confused with '11' or 'LL'. It is sometimes said that IG stands for Ilford, Greater London or that the G stands for the last letter in Barking, which is situated in IG11. In April 2005, a local businessman Wilson Chowdhry started a campaign to have IG1-IG6 postcodes changed to London E19 since Ilford is part of London and IG1-IG6 is not always recognised as a 'London postcode'. He argued that so doing would help local businesses. A Royal Mail spokesman, however, said campaigners in Ilford had "virtually no hope" of changing their postcode. This had previously been raised by the then Greater London Council politician Serge Lourie in the 1970s and similarly rejected. Ilford had been removed from the London postal district in 1866. IG postcode area map, showing postcode districts in red and post towns in grey text, with links to nearby CM, DA, E, EN, RM and SE postcode areas. The southern boundary is the River Thames. Part of the western boundary is the North Circular Road and the River Roding. ^ "The power of the postcode". BBC Online. 2005-04-05. Retrieved 2007-04-07. ^ Little Ilford, A History of the County of Essex: Volume 6 (1973), pp. 163-174. Date accessed: 14 December 2007.